Thirty states have signed on to a brief filed with the U.S. Supreme Court urging the justices to overturn a lower court’s ruling that a war memorial in the shape of a cross violates the constitution’s separation of church and state. 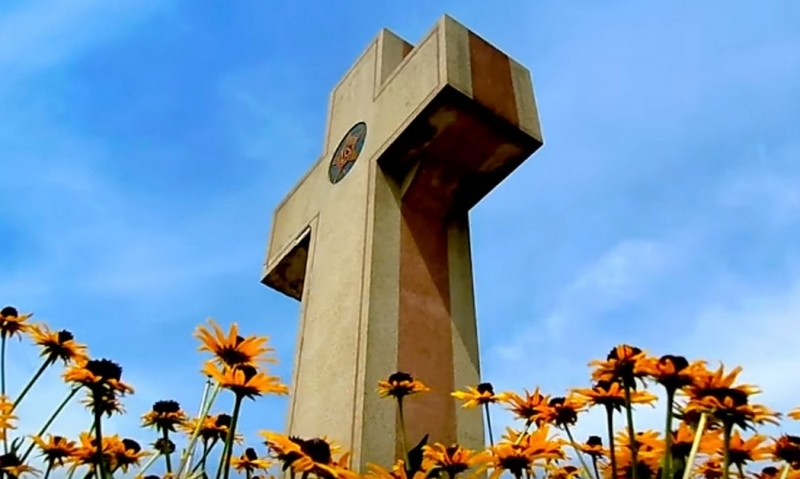 At the center of the controversy is the 40-foot Bladensburg Peace Cross in Maryland, erected shortly after World War One by the American Legion and relatives of 49 deceased soldiers from Prince George County in the state. The Supreme Court agreed in November to review a 2017 ruling by the 4th Circuit Court of Appeals that the cross, standing on government-owned Maryland-National Capital Park land, “has the primary effect of endorsing religion and excessively entangles the government in religion.” The court found that it violates the establishment clause of the first amendment. “When the government uses the preeminent symbol of Christianity as a universal war memorial, it sends a callous message to non-Christian soldiers that Christians are worthy of veneration while they may as well be forgotten,” Monica Miller, senior counsel for American Humanist Association (AHA), said in a statement prior to the Supreme Court announcing its review. The AHA supported three individuals who filed the initial case. The Amici Curiae filed Dec. 24 by the states, led by West Virginia, argued monuments that include symbolism from other religions would be threatened with destruction if the appeals court ruling stands. It cited the example of South Carolina’s Holocaust memorial in Columbia, which includes a Star of David. More than 200 national and state memorials remembering, and honoring, U.S. veterans are managed by various government agencies, according to the brief filed by the states. “Nearly all include crosses on at least some of their burial markers,” the states argue, citing throughout the brief the 2005 Supreme Court 5-4 ruling in Van Orden versus the state of Texas. Thomas Van Orden filed suit in federal court, claiming that a ten commandments monument on the grounds of the state capitol building violated the establishment clause. The majority found that “simply having religious content or promoting a message consistent with a religious doctrine does not run afoul of the establishment clause.” The justices ruled that the monument must be seen in a historical context. “Thirteen years ago, this Court affirmed the constitutionality of a public monument built in the shape of a religious symbol where historic tradition and the monument’s specific context demonstrated that it conveyed a primarily secular message—and thus that it did not offend the Establishment Clauses’s purpose,” attorneys for the states wrote in the amici brief. The brief acknowledged the “Januslike” jurisprudence surrounding the first amendment, with the establishment and free exercise clauses pulling at times in opposite directions. In advancing their argument, the states also highlighted the fact that the US government maintains more than two dozen cemeteries overseas, many of which contain crosses.